The Dublin-born footballer is hoping to travel to South America after getting an eleventh-hour reprieve in his fight against cancer. DOCTORS IN AUSTRALIA are said to be pleased with Jim Stynes’ progress following his latest operation to tackle a life-threatening brain tumour. The Dublin-born Aussie Rules legend, who was diagnosed with cancer in 2009, was told last month that he only had a matter of weeks to live. But Stynes, 45, was given an eleventh-hour reprieve last week when doctors found that his condition had in fact improved and he returned to hospital this week for another brain operation, his sixth in total. Now the footballer is making plans to travel to South America with his wife Sam and their two children for Christmas after doctors released him from hospital yesterday and gave him the green light to travel. Speaking on the Today show on Australian television, Sam Stynes said that the news of her husband’s reprieve was “a blessing”. “It’s been a very rocky road to go through and definitely a big emotional rollercoaster ride for both of us, so when we got the call we were over the moon. “He is doing really well. He is recovering at a really speedy rate. The doctors aren’t saying so openly but I can tell they are also quietly pretty impressed by his recovery. We couldn’t be looking forward to this holiday more, it’s a blessing. We are just going to make the most of this time. Life is a gift. 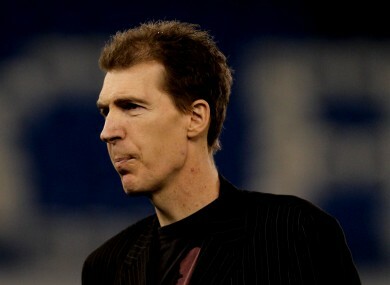 Stynes moved to Australia in 1984 and became the first and only Irishman to win the AFL’s prestigious Brownlow Medal. He is president of Melbourne Football Club – though he has recently taken a step back from his day-to-day duties. Today, the Melbourne Herald Sun crowned him as their Victorian of the Year for 2011, paying tribute to the courageous manner in which he has battled his cancer. “His attitude helps explain his greatest feat – the simple act of still being here,” Patrick Carlyon writes. “To borrow from Mark Twain, the reports of Stynes’ near-death have been exaggerated, again and again. That he is so alive to the everyday joys many of us overlook is a sort of legacy that reaches beyond superlatives. The good may die young. Yet some of them give more in their final days than others offer in a long life. The spectre of Stynes’ death has only magnified the largeness of his life. Email “Jim Stynes planning Christmas getaway following latest brain op”. Feedback on “Jim Stynes planning Christmas getaway following latest brain op”.